Not so long ago, we covered the topic of new legislation banning revenge evictions on our blog. And it’s something that we have been frequently mentioning on our forums too. However, despite the fact that this is an issue that affects a large proportion of the tenant population in England, it would seem that almost 90% of tenants are not even aware of it. Given that this legislation is intended to protect tenants, it’s clearly not doing its job if those who are the subject of its protection don’t even know that it exists. The Deregulation Bill is the piece of legislation that has finally outlawed revenge evictions. It was passed into law in March of this year and became effective as of 1 October. You can read our full blog on the history of revenge evictions here, however, the essence of the legislation is to prevent landlords from removing tenants who have complained about the state of the property. Back in 2014, the housing charity Shelter revealed that there were more than 200,000 people at risk of a revenge eviction in the UK. The survey also highlighted that tenants were avoiding asking landlords for repairs, or to fix issues, because they were afraid that they would be removed as a result. A number of people reported that they had already suffered what they would describe as a revenge eviction – perhaps you have too. A survey by the National Landlord Association (NLA) found that 88% of the people they spoke to had no idea that there was a law in place to protect them from revenge evictions. Those who were part of the survey felt that they would be much happier to report issues with a property to the local council once they realised that the protection in place. 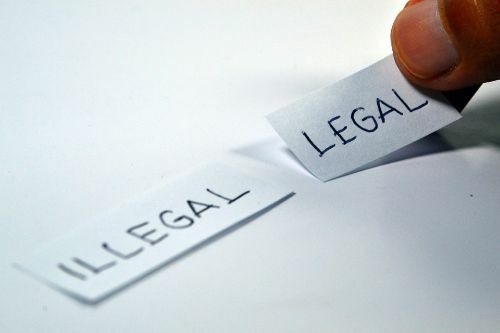 The NLA has said of the new legislation “These kinds of evictions are extremely rare but we have to make sure that complaints by tenants don’t just get lost in the system, regardless of whether they’re legitimate or not. The majority of landlords only choose to end a tenancy if it’s absolutely necessary, so we have to make sure that the system isn’t abused by those simply trying to prolong the evictions process.” While we’re not as convinced as the NLA that these types of evictions are ‘rare’ (more likely, underreported) or that landlords will only end a tenancy if ‘absolutely necessary’ (a rather subjective term), we do agree that it’s important that the new rules are clarified, both the fact that they exist at all, and what landlords and tenants should expect as a result. The NLA is calling on councils to provide a framework for how complaints can be made and dealt with. While the organisation’s motivation is to make sure that tenants don’t “unnecessarily prolong the possession process” (the NLA is a landlord’s organisation after all), the call for clarity is long overdue. If you are concerned about revenge evictions, or want to know more about them, why not request more information from your local council to put this issue firmly on the map.